U.S. officials believe extremists across northern Africa, emboldened by the terror attack on a natural gas plant in Algeria, are growing more daring. A senior American intelligence official tells CNN that "what we have seen is intelligence suggesting a desire to carry out more attacks" against western and U.S. interests in the region. The United States is not aware of any specific threats, the official said. 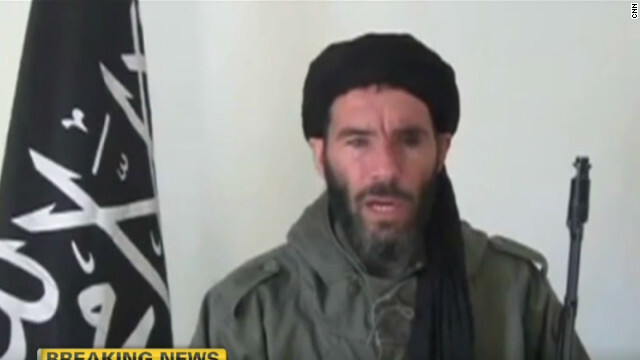 But one of those believed to be plotting is Moktar Belmoktar, a veteran militant who has claimed responsibility for the attack this month on the BP facility in eastern Algeria that left at least 37 hostages dead. 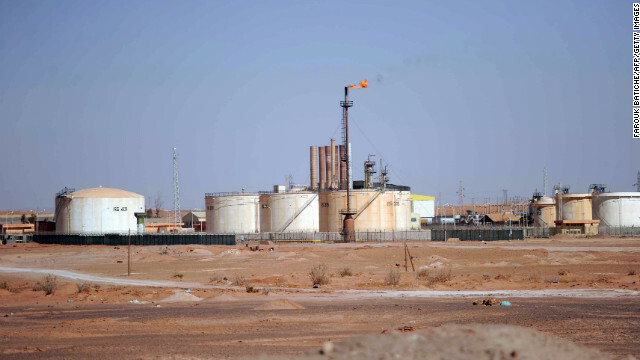 The deadly attack on the In Amenas gas facility in southern Algeria could herald a power struggle within al Qaeda in the Islamic Maghreb, or AQIM, which is fast becoming one of the most dangerous branches of the organization. The attack was claimed by veteran Algerian jihadist Moktar Belmoktar, who last year was forced out of AQIM's leadership by its emir, Abdelmalek Droukdel. Their rivalry has been aggravated by geographic distance, disagreement over jihadist doctrine, and - above all - personal ambition. At one point, Droukdel tried to have Belmoktar assassinated, a former jihadist from the region told CNN. The rift between them not only led Belmoktar to mastermind one of the most serious terrorist attacks in North Africa in years, but may also dictate the future course of jihad in the region, the sources say. In September, Droukdel "fired" Belmoktar from the AQIM leadership, and he responded by setting up what one of his close associates described as a new trans-Saharan franchise of al Qaeda. Nearly all the men under his command were said to have followed Belmoktar out of AQIM. In December, Belmoktar announced the formation of a new commando unit called "We Sign with Blood," and he promised attacks against Western interests in the region and the home soil of Western countries if an operation was launched against jihadists in northern Mali. 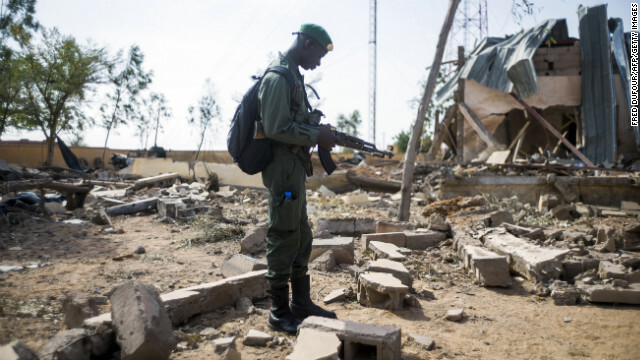 A Malian soldier stands amid debris Saturday, January 26, in the key central town of Konna, which has been under French and Malian army control since last week. It was taken on January 11 by Islamist groups. The United States is intensifying its involvement in Mali, where local and French forces are battling Islamic militants. It will support the French military by conducting aerial refueling missions, according to the Pentagon, which released a short statement Saturday following a call between Defense Secretary Leon Panetta and French Defense Minister Jean-Yves Le Drian. 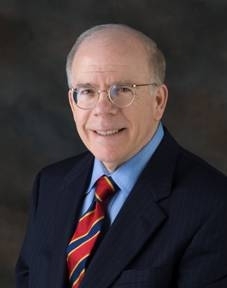 "The leaders also discussed plans for the United States to transport troops from African nations, including Chad and Togo, to support the international effort in Mali. Secretary Panetta and Minister Le Drian resolved to remain in close contact as aggressive operations against terrorist networks in Mali are ongoing," it read. U.S. policy prohibits direct military aid to Mali because the fledgling government is the result of a coup. No support can go to the Malian military directly until leaders are chosen through an election. In order for its offensive against Islamists in Mali to succeed, France needs the assistance of the United States and other countries, a French official told CNN. "We really need the help of everybody and when countries such as Morocco and Algeria are opening their skies to our planes," the official said. "That's crucial because that's a mark of full solidarity for our mission - which is needed, it's really needed." Mali was one of the most successful democracies in Africa until last year, when a coup toppled the president and Islamists capitalized on the chaos by establishing themselves in the north. There, they imposed a strict interpretation of Sharia law by banning music, smoking, drinking and watching sports on television. They also damaged Timbuktu's historic tombs and shrines. The International Criminal Court has launched a war crimes investigation amid reports that residents have been mutilated and killed for disobeying the Islamists. The United Nations has noted accounts of amputations, floggings and public executions such as the July stoning of a couple who had reportedly had an affair. 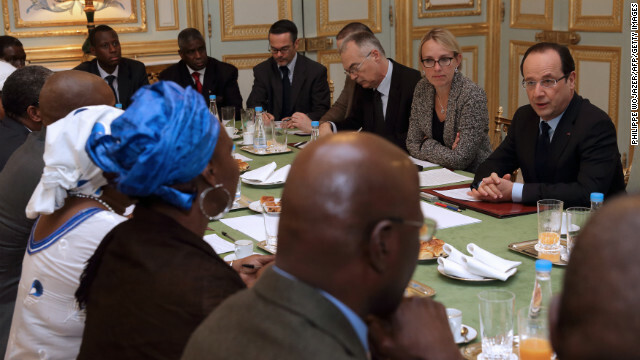 French President Francois Hollande, right, speaks with members of Malian associations in France during a meeting at the Elysee Palace in Paris on Sunday. Within the past few days, French combat forces have deployed to the West African state of Mali to halt the advance of militant Islamist fighters toward the capital and to help the Malian army begin to reclaim towns previously occupied by the militants. After intense airstrikes against rebel strongholds, French ground forces are moving north to try to dislodge the fighters. Mali is one of the poorest countries in Africa, a vast and sparsely populated land that is largely desert. But events there are being watched with growing anxiety throughout West Africa, in European capitals and in Washington. here are six reasons why. Islamists attacked a gas field in eastern Algeria, killing two people and seizing hostages, including Westerners, Algeria's interior minister said Wednesday. The incident may be linked to France's military support for the government of nearby Mali, according to reports from the region. The Westerners, accompanied by Algerian security forces, were en route to In Amenas Airport when they were attacked early in the morning by a group of no more than 20 people, the official, Diho Weld Qabliyeh, told Algerian state television. The security forces returned fire, and the attackers withdrew to the base of the petroleum operation, some 3 kilometers away, he said. Upon arrival at the base, he continued, the attackers "took in a number of Westerners and Algerians - some people told us they were nine, some people told us 12." Accounts over the number differed.